Mark your holiday calendar for a wonderful, family event! 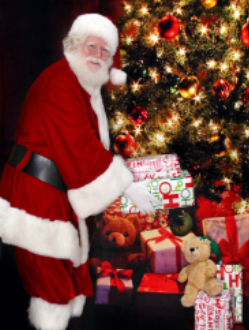 Dress in your holiday finery to visit Santa at the library. Bring your camera for photos. Refreshments, crafts, games, spin the prize wheel, and more!